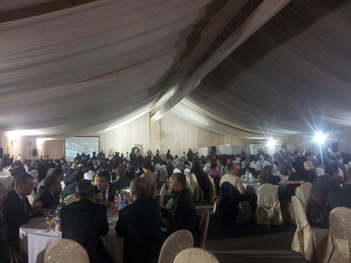 The Assia Djebar Prize award ceremony, held at an Algiers Hilton, is part of the many literary events taking place during Algiers’ International Book Fair (SILA) which is set to close on November 7. The prize was created by state publishing houses ANEP and ENAG as a posthumous tribute to the Algerian author, in memory of her remarkable contributions to literature. 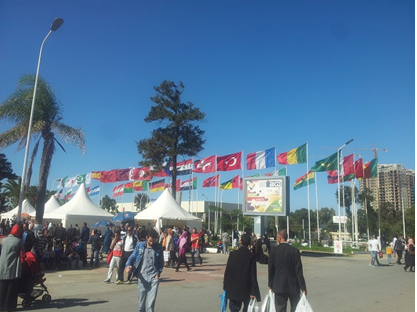 Both agencies financed the prize under the umbrella of Algeria’s Ministry of Culture. The Assia Djebar prize is supposed to be unique in at least two ways: It is meant to be stable in an environment where the few literary prizes that come into existence are launched as fast as they disappear. And it aims to promote literature in not one language but in “three national languages” — as SILA’s Commissioner stated — Arabic, French and Tamazight. Before winners were announced, a number of personalities took to the stage to pay their respects to Assia Djebbar before no less than six ministers (the Minister of Culture, the Minister of Communication, the Minister of Transports, the Minister of Youth and Sports, the Minister of Relations with the Parliament, and the Minister of Technologies), as well as France’s Ambassador in Algeria, the seven members of the jury who selected the novels, the editors and representatives of national publishing houses both private and public, members of Djebbar’s family, and the winning novelists we did not yet know. Before the ceremony, we knew that the jury was composed of 7 writers and scholars, as announced on a website dedicated to the prize, and that they had been engaged in reading and examining these submissions for the last few months. Over that period, no long- or shortlists were announced, and the sole criteria for selection made public was the “literary talent” of an author , whether already established or newly published. On the evening of Nov 4, we were told that 76 novels had been submitted. There was no indication as to the number of novels for each language, another omission that is nonetheless positive in that it goes towards promoting imagination. Djebbar’s role and contribution as an author, filmmaker, and as a woman’s rights advocate was underlined by all. 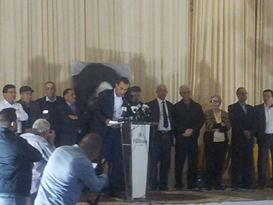 After SILA’s commissioner, the president of the jury, Algerian author Merzag Begtache gave his address in Arabic. In a hoarse voice that was barely audible, he said that if one were to summarise in one word the entire body of Algerian literature, that word would be eternity. While we pondered what he could possibly have meant, Nadjet Khedda, specialist in Algerian literature written in French and member of the jury, followed in French to express her pride and delight at a tribute that was finally paying homage to an Algerian woman, and by extension to all Algerian women. She underlined the importance of a project that gives all three languages the same importance, thus taking a step toward representing Algeria’s linguistic multiplicity and the continuity of Algerian culture, both past and present. 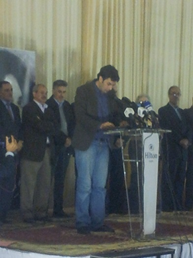 Mohammed Arab, a Tamazight specialist, then came on stage speaking in Kabyle. He commented on what he called the qualitative leap that written literary production in Tamazight has made over the last few years. But he expressed his concern that soon, only one script would have to be chosen to write and publish Tamazight, and that the creation of an Academy was therefore necessary. At present, Tamazight is published in Tifinagh, Arabic, and Latin scripts. So far, the event was rather reasonable. But in Algeria, it is precisely when reasonable characteristics become tangible that galaxies explode, fall, and envelop us in a sparkling cloak that transports us to a parallel dimension. In this other world, ceremonies of the absurd are inevitable. In Haruki Murakami’s 1Q84, you know you’ve crossed worlds because two moons are visible. In Algeria, I am not yet certain that twinned elements give a clue, but I will pay more attention to this duality because it is when the ceremony’s two presenters united to take back the stage, one speaking in Arabic and one in French, that the mirage of reasonableness dissipated. Winners’ names were announced, but novels’ titles weren’t given, and publishers’ names were not mentioned either — something that made editors protest loudly and ask for a re-reading, to clearly indicate the author’s name, the novel title, and the publishing house. The Minister of Culture announced the winner for the best novel in Arabic was Abdelwahab Aissawi (who turns out to have written Sierra de muerte, published by El Oued City’s Culture Division). The Minister of Communications announced the winner for Tamazight, Rachid Boukharroub, selected for his novel Tislith N’ oughanim (the Bamboo Bride) by El Amal editions. The Minister of Higher Education announced the winner for the French language category, Amine Ait El Hadi (selected for his novel L’aube, au delà (Dawn, and beyond) published by Aden eds). After each announcement, each author gave a short address. The entire exercise took about 20 minutes. Why were the novels absent? If this was a tribute to women, why so little space for them? Why honor a woman only once she is dead? Our love for appearance with no content is nothing new, and while the insults to memory continue, we all silently acknowledged that we have become an invitation card, paper thin. Editor’s note: You can follow the further adventures of SILA on twitter @SILAAlger with the hashtag #SILA2015, and on Facebook here. Nadia is a doctoral student at the School of Oriental and African Studies, where she specializes in the ancient languages of Iraq and Syria. Based between Algeria and the UK, she blogs at tellemchaho.blogspot.co.uk about living in Algeria, and Algerian literature. Next Who Can Make the Biggest Prize for Translators? Thank you very much for giving me the opportunity to introduce in Assia Djebar Prize.